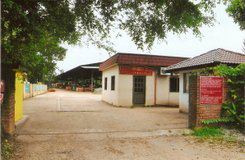 Industri Perkayuan Peserai (M) Sdn Bhd was established in 1986 in Johor, Malaysia. 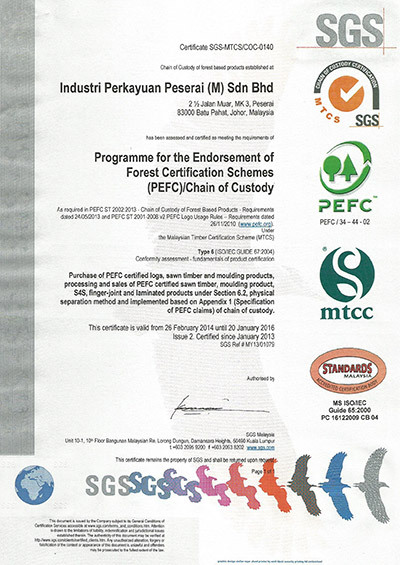 Over the years, IPP has grown rapidly from a small sawmill to an established timber mouldings exporter in east coast Malaysia. Today we cover operations ranging from Sawmill, Kiln dried, PT (preservative treatment), Mouldings and export. With combining over 40 years of experience in timber industry, we continually strives to uphold and improve on the quality of our products and provide exceptional level of services and satisfaction to our customers. We provide a wide range of products such as sawn and machined timber, laminated scantling, finger jointed timber, mouldings products etc. The countries that we deliver our products are Australia, Japan, Korea, Singapore, as well as Europe such as Italy, France, etc. Thus, throughout all these years with trust, reliability and quality concern, we have built a long lasting relationship with our customers.